Lou Ferrigno will always be tied to The Hulk. It makes sense. The former champion bodybuilder has played the character on and off since he first wore the green makeup in the 1977 TV film The Incredible Hulk and the series that followed from 1978-82. The 58-year-old is set to lend his voice to the superhero again for the highly anticipated feature adaptation of The Avengers. Ferrigno filled Collider in on all of his projects at New York’s Comic Con where he’ll be signing autographs all weekend. Hit the jump for the interview’s full audio and transcript, along with an update on The Avengers, his take on the most recent film adaptations of The Hulk, the actors who played his famous alter-ego, good news about his return to Chuck and his surprise pick to play Superman. Collider: What’s Comic Con been like for you? 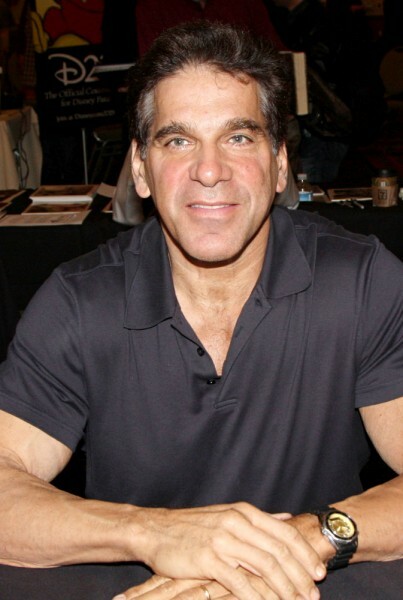 Lou Ferrigno: It’s been great because it’s another avenue for me in show business because you get a chance to connect with the fan and also (I’m) promoting my latest movies, my projects and everything. It’s like really interacting with the public. What’s the split in terms of people who come up for (his more recent work) like I Love You, Man (where he played an exaggerated version of himself) as opposed to The Incredible Hulk? Ferrigno: It’s about the same. I get a lot of I Love You, Man because it’s a recent picture, but pre-, predominantly, it has to do with The Hulk. Everybody just loves The Hulk. They keep telling me they liked the original series better (than) they all liked the movies (with) the CGI or that kind of stuff. I see you’re listed on The Avengers (upcoming adaptation). So you’re doing the voice of the Hulk (in the film)? 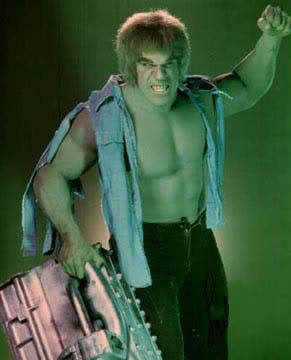 Ferrigno: Yeah, I’ll be doing the voice (of The Hulk). I’m hoping to have a good part in the movie. I’m waiting to see the script, but right now, it’s still pending because they haven’t finished production yet. Initially, what has (The Avengers director) Joss Whedon told you about the film? Ferrigno: I, I don’t know anything about it yet. Oh, you haven’t talked to him at all? What do you think about Mark Ruffalo (being cast) as The Hulk? Ferrigno: I think he’s a great actor. I think he’s a great choice. My only problem is that they keep changing (the actor playing The Hulk’s alter-ego) David Banner. I don’t know the situation with Eric Bana because maybe he had a one-picture deal, but I think Mark (Ruffalo) is a wonderful actor and I think he’ll be, he’ll be a great David Banner. What did you think of Eric (Bana) and Edward Norton (in the previous incarnations of The Hulk)? Ferrigno: They were good. I mean, Edward Norton, I loved because he was, he’s close to (TV’s original David Banner) Bill Bixby. Eric Bana was the first one that came with the first film (directed by Ang Lee) and he, and he’s a fine actor, too. They’re all different and it’ll be interesting to see how Mark pulls it off, because Mark is deep. You know, like he did Shutter Island? He’s got a deep quality about him. He’s got a sensitive side and I think that’s gonna come out of him. Why do you think the first two didn’t work as successfully as people had hoped? Ferrigno: Because it’s not human and you can’t connect with the Hulk because it’s CGI. It needs to be more emotional. It’s very hard with CGI. And speaking of super heroes, who would be your choice to play Superman (in the new film adaptation to be directed by Zack Snyder and produced by Chris Nolan)? Ferrigno: Superman? (Long pause) I think Eric Bana would be a good Superman. He’s got that look. I think he’d be a great Superman. Ferrigno: Yeah, I think so because I did the show last week and they loved it and the, the Executive Producer would like to have me back on eventually. That’s great! And you’re here (at Comic Con) all weekend? Ferrigno: Yeah. (I’m) looking forward to my fans. I’m excited to be here because I’m from New York (Brooklyn) and I still have that New York in me. Great. Well, thank you so much.